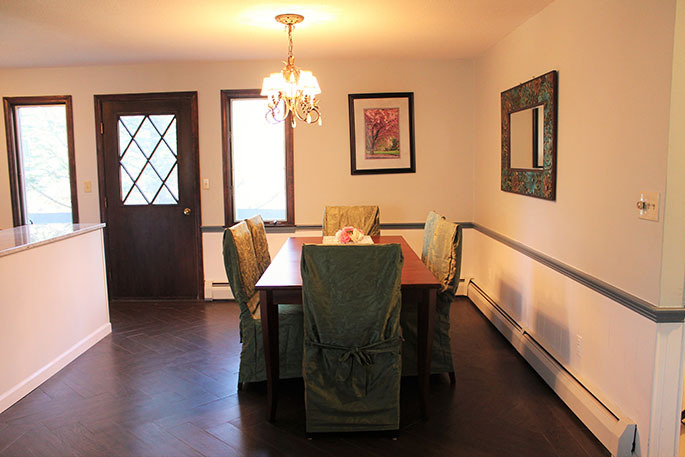 This beautiful 4 bedroom home is located on North Branch Road and is within walking distance to the village or you can take the shuttle! 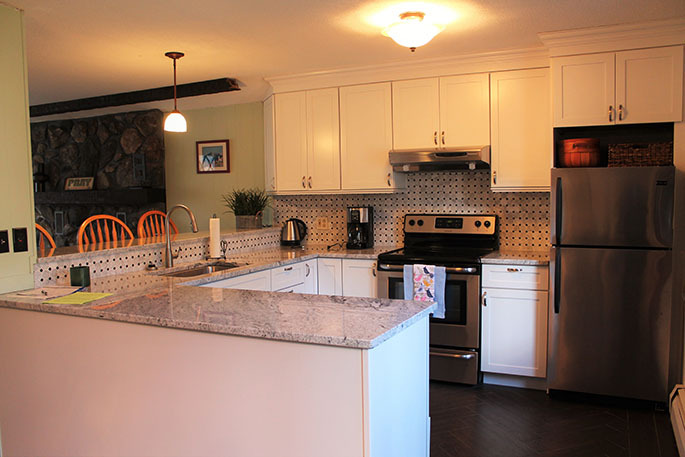 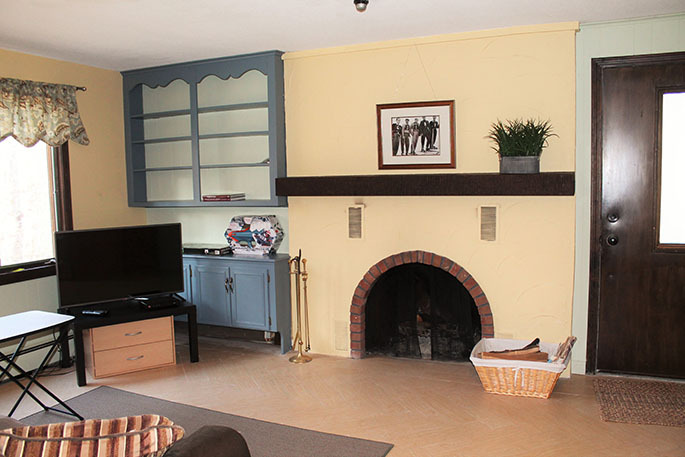 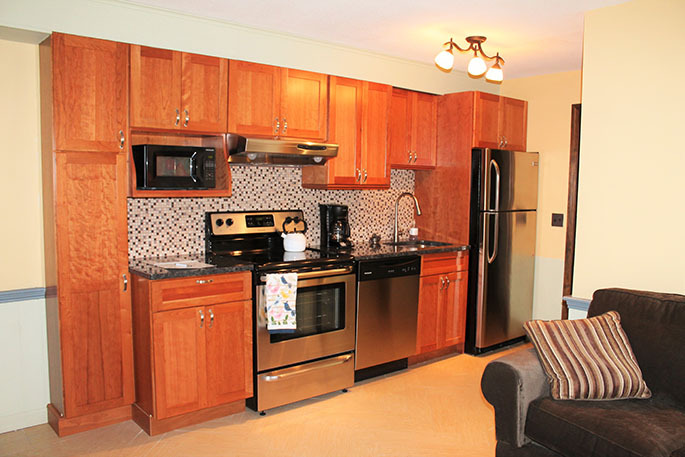 This house has two kitchens, both equipped with all appliances and everything you will need for your stay. 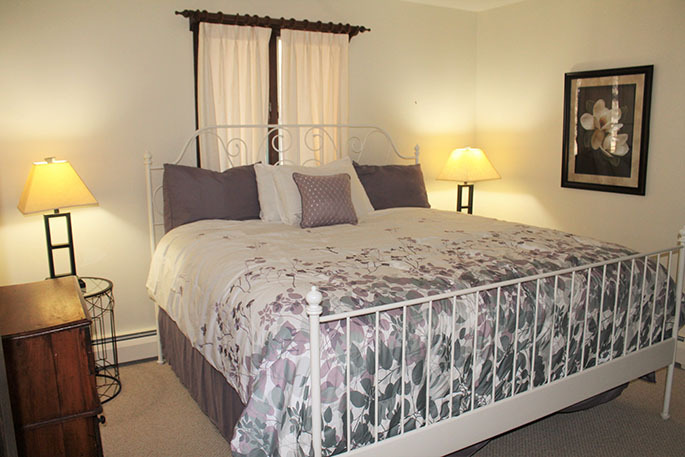 This house will sleep 10 comfortably. 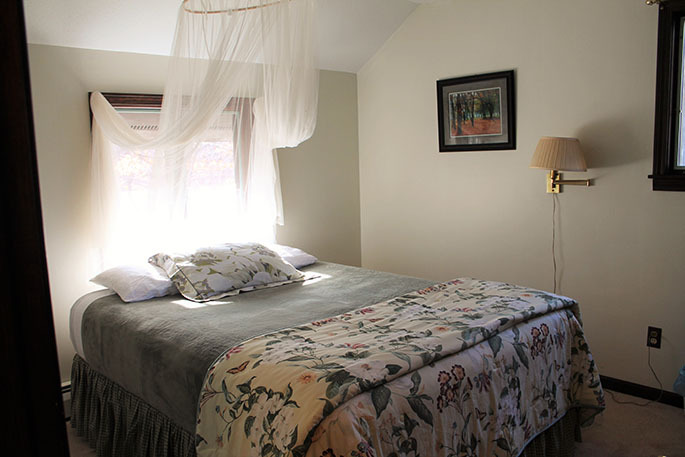 The main level has a living room with a flat-screen TV and a kitchen; there is also bedroom off of the living room with a king size bed and a full bath. 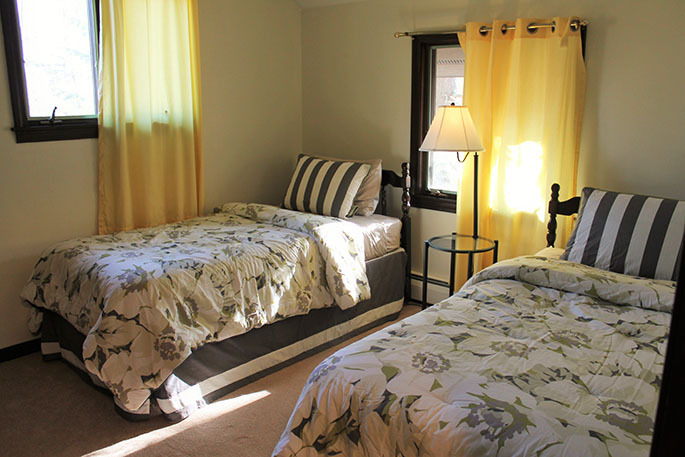 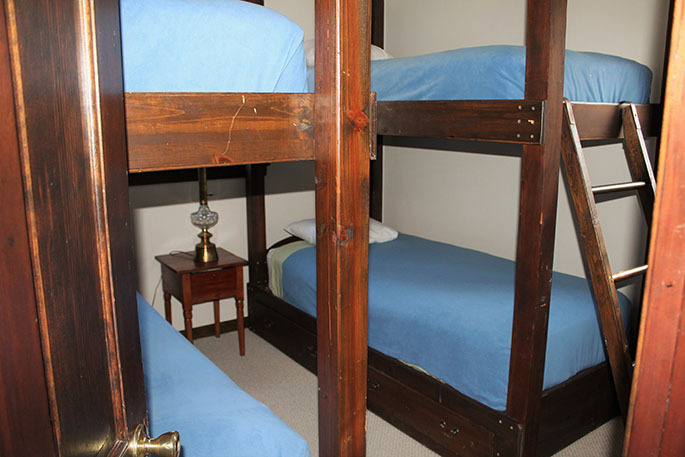 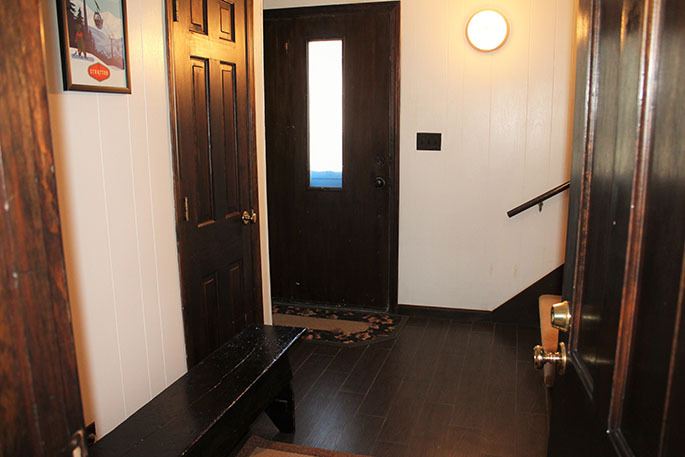 There is an additional bedroom with two sets of bunks and full bath on the main level. 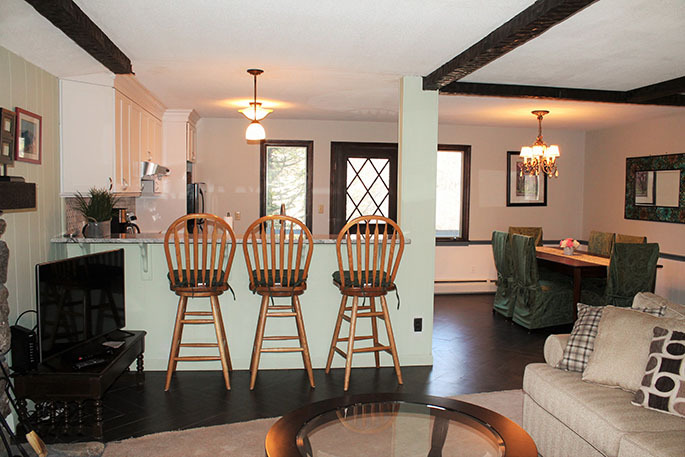 Upstairs there is another living room, a dining room, and kitchen. 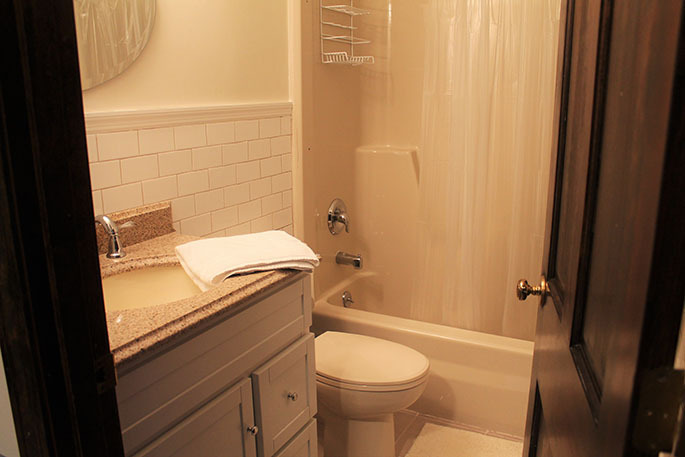 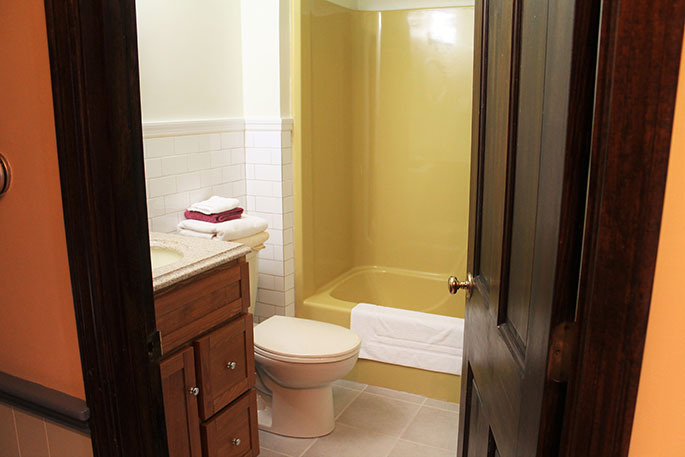 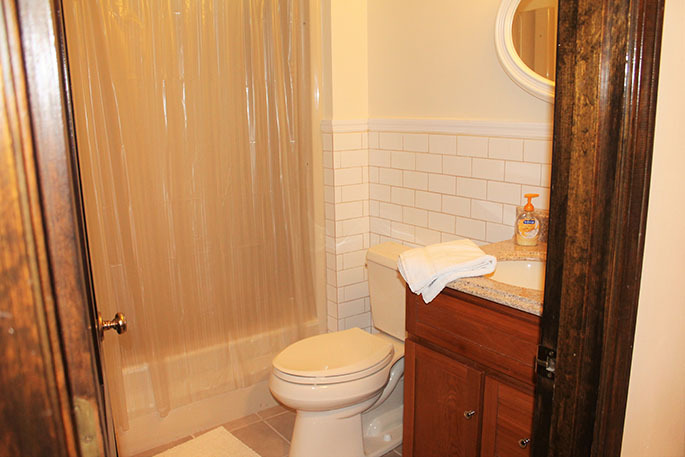 There are two bedrooms on this level one with a queen size bed and the other with two twins there is also another full-size bath on this level. 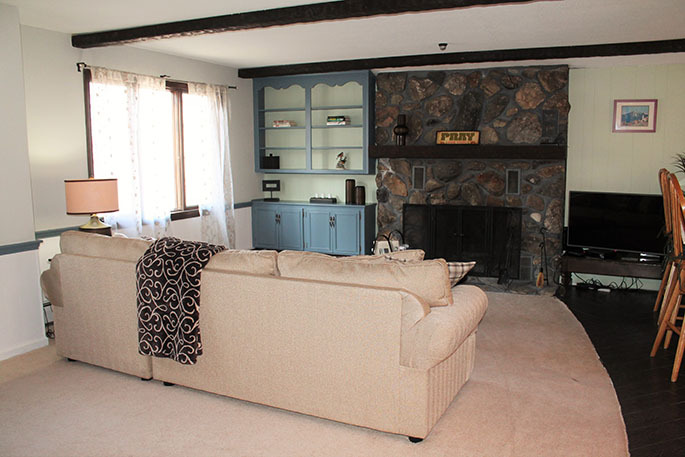 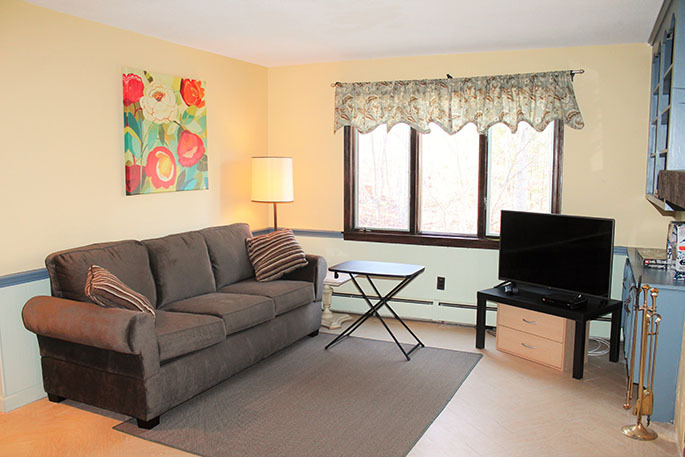 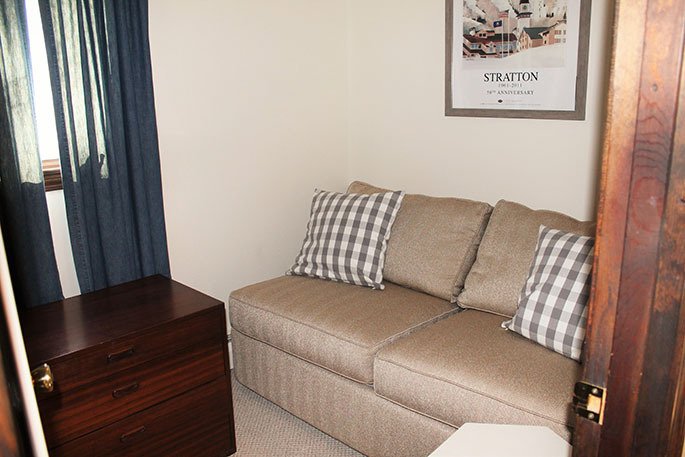 Call today to book this home for your winter vacation here at Stratton!